Ofcom has confirmed that it intends to advertise a new licence for a data service broadcasting alongside Classic FM. The Additional Services licence that is being proposed would commence from March 2018 and Ofcom plans to advertise the licence in 2017. Currently, traffic service INRIX, which provides traffic and road travel information to in-car navigation devices, is the only Additional Service licence holder, transmitting its data alongside Classic FM's signals on 100-102 FM. However, INRIX's Additional Service licence is due to expire on 28th February 2018, and cannot legally be renewed or extended. Therefore a new licence needs to be advertised, and Ofcom intends to allow the new licence holder to continue to use spare capacity within Classic FM's RDS subcarrier. The move would pave the way for INRIX to bid for the new licence and be able to continue service beyond 28th February 2018. 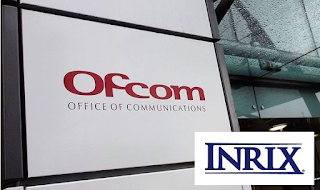 Before the licence is advertised, Ofcom is consulting with industry stakeholders over the duration and terms of the new licence. The INRIX service has around 4.5 million users. INRIX also has a data slot on national DAB multiplex Digital 1, which is not affected by the licence change.